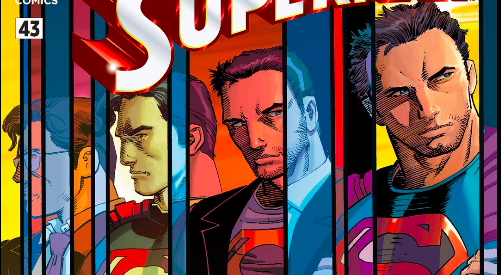 Today’s issue of "Superman #43," by writer Gene Yang and artist John Romita Jr., has finally revealed why Lois Lane revealed Superman’s secret identity to the world. While readers have known that Lois was responsible for outing Clark Kent since June’s "Action Comics #41," this latest chapter in the “Truth” story arc finally filled in the final details. 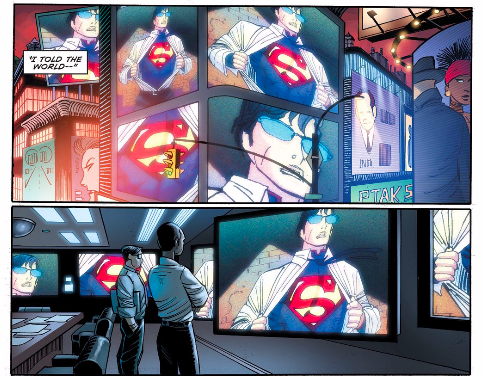 Warning: Spoilers ahead for those who have not read Superman #43. In “Before Truth: Part 3” Superman’s latest adversary, Hordr, continued to force Superman to do his bidding, with the leverage that he would reveal his secret identity if he didn’t comply. Obviously not wanting to deal with that, Superman, follows Hordr’s latest instructions and meets him at a remote facility. Unfortunately, Superman also brought Lois Lane along. As Superman begins to fulfill Hordr’s latest request—powering Hordr’s weapons with his solar flare—Lois can no longer idly sit by. Lois uploads Superman’s secret identity to the Internet before Superman fully powers the weapons, thereby eliminating Hordr’s control over Superman. No longer a slave to Hord’r’s commands, Superman cuts his solar flare short and destroys the weapons before they cause any destruction. The day is saved! The only problem, of course, is that the world now knows who Superman is. And he’s not too happy about it. 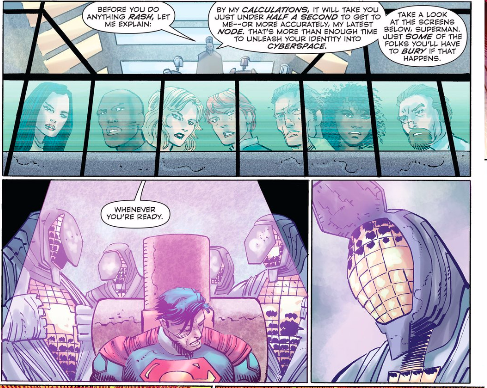 As Superman tells Lois in the issue, he would have figured out an alternative solution without risking the dozens of lives connected to Superman and Clark Kent. In Superman’s mind, Lois’ ploy wasn’t worth it. As "Truth" and "Before Truth" continues, we’ll see if Superman was right. But what do you think, readers? Was Lois’ reason justifiable? Let us know in the comments! Superman #43 is on-sale now.